Everything in my life right now seems to be a WIP with a tendency to falling apart but I have two major appointments on Monday, both to nudge me into the right direction, and since that is the start of this challenge I thought A New Hope is very fitting. 1. My first therapy session. I'm very nervous but my therapist is also my psychiatrist so I already know him and that's a relief. no soda at all - I stopped drinking soda 6 years ago and didn't drink a single sip until last month. create something, no matter how small or big, every day (big projects don't have to be finished that day) - did that last challenge and I loved it! I'm really looking forward to this challenge, no exams ahead of me and I won't have to go back to uni until shortly after the challenge so plenty of free time! I just hope this will take my mind off things while still going into the right direction. May the Force be with all of you! 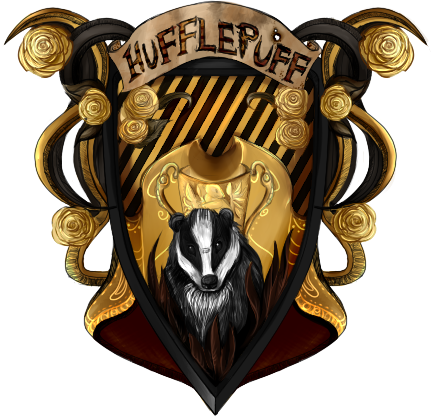 You have been sorted in the Harry Potter House Cup PvP! Same! Guess this challenge will be a bit geeky for me, this one being Star Wars and participating in the Harry Potter PvP. I love it! Late but nevertheless: Too good a theme to not follow. So, how are things going? It is going not too bad I'd say, especially strength training. I changed the last goal to finishing Fallout NV since I started that ages ago and never finished although I actually really liked it. Nice work, I love no soda goals, it makes such a difference to skip it. Especially since I shouldn't be drinking it due to my fructosaemia. I actually forgot about the goal on the first day (shame on me) but from now on I'll be sticking to blue milk. You never finished it... really...? Fallout in the desert didn't captivate me as much as the ruins of DC did. So after playing NV for a few hours I got back to Fallout 3 + DLCs + Mods. And I may have forgotten about practicing piano, oops. But apart from the running (I've been doing rope jumping though so I'm not mad at all) I've been doing really great, let's hope I won't let it slack off because of Fallout. Great week, well done! Heaps of on target stats! Running shmunning, the other goals are much more important! You're doing so well!, I'm happy for you. I'm eager to hear about week 3. Sorry, I'm very busy playing Fallout. I'm not 100% on track this week but I'm still doing very well, apart from the running but I'm just going to blame that on my cats. They don't like when I leave and why would I want to break their heart? I'm not a monster! Not quite 100% but I'm surprised by how well I'm doing. Spoiler alert: this week isn't going that well. And "unfortunately" my dad gave me his Switch along with Breath of the Wild so Fallout has been more or less untouched the last few days. The last week didn't go so well which is mostly to blame on The Legend of Zelda, definitely not my fault! I am happy with my overall performance, especially on the soda, strength training and writing (which wasn't as successful as the other two but I wrote sooo many pages so that's a win anyways). I may not have finished New Vegas but I played a whole lot so that's great too. And the running... 3 times in 4 weeks is a lot, right? 3 times in 4 weeks is a lot, right? Some (me) would say anything over zero is too much!